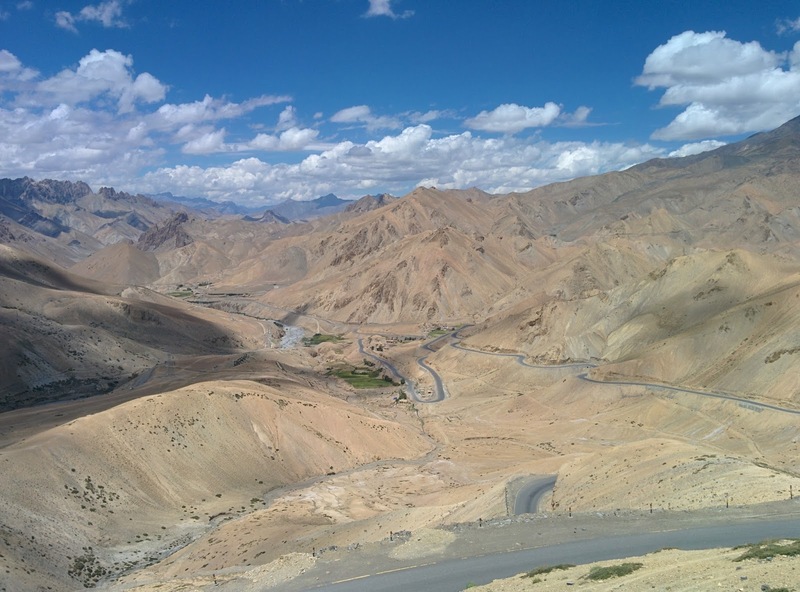 Road Less Travelled: Soak In Views Of Mesmerizing Moonland From Lamayuru Monastery! Soak In Views Of Mesmerizing Moonland From Lamayuru Monastery! Leh to Srinagar highway is one of the best National highways in India. 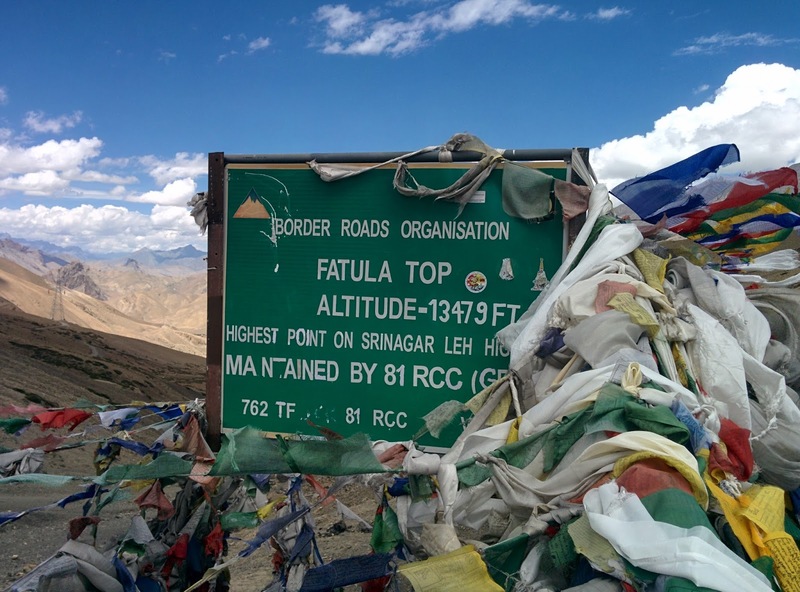 Apart from the stunning Natural beauty, massive perennial rivers that form deep gorges, high altitude passes, indomitable Buddhist monasteries and sculptures beautify the highway. We rode on this beautiful highway and were on our way to another amazing monastery- Lamayuru Monastery crossing the two awesome passes on the way- Namika La and Fotu La. The highest point on the Srinagar-Leh highway is Fotu la pass and the most challenging one being Zojila Pass while Namika La offers grander views of the surrounding valley. After crossing Namika La enroute Fotu La, we were stuck for a very long time. A mourning procession was being carried out by the followers of Islam. It was a religious event for which the followers had occupied the entire National highway for quite some time. Vehicles had piled up on either sides for a considerable amount of time. While it is perfectly right to celebrate or moan any religious/ historic event, it is nuisance to occupy a National highway and bring traffic to a standstill in the name of Religious freedom. If any religious ceremony has to be taken out on the streets then why do we have exclusive places of Worship? This was the only sour part of the entire ride as there was no need to occupy a National highway. After the traffic was cleared, we headed to Fotu La. It was a pleasure riding on these roads and was brilliant to see sheep graze on these steep mountains and at the same time balance themselves. The roads are beautiful and its a sheer delight to ride on these perfect hairpin bend curves and we beamed with pride when we saw an old bajaj scooter turn on these sharp curves with as much ease as our bullet. It was such a beautiful moment. We finally reached the celebrated 11 century Lamayuru Monastery. Lamayuru is also known as Moonland for it's lunar like landscape. One of the oldest and largest monasteries in Ladakh, Lamayuru means eternal in Tibetan. Also know as Yung Drung, the monastery is home to more than 150 monks and is 127 km from Leh. Legend has it that area was once a lake that dried up and is believed to have been home to around 400 monks earlier. With most of the structure in ruins, it also houses a cave and is known as cave monastery. Naropa a Buddhist Indian scholar spent years meditating in the cave here. In the 16th century the monastery was declared a holy site where even criminals could seek sanctuary. The mighty Indus makes this barren land fertile and there are several wooden bridges that connect the highway to the other side of the hill across the river. Like several monasteries in Ladakh region, this centuries old amazing monastery has extensive places of worship, stunning natural color wall paintings, beautiful thankas. This was the first monastery that we saw which was more like a maze. Narrow pathways led to many chambers and alleys. All religious instruments in this monastery seemed to be covered in gold or silver including the conch. One of the highlights of the monastery is the stunning views of Moonland from here. The entry fee is Rs.50 per person. The highly commercialized monastery has plenty of stay options around. Truly Amazing. Thanks a lot for all awesome pics. Thanks Rupam, glad you liked our post. These types of photographs makes Laddakh very different to other places. Very true, Ladakh is very unique and special in many ways.